The S.P.A.C.E program was launched in 2008 by members of our bicycle unit in an effort to educate cyclist who ride in vehicular traffic and to promote bicycle safety. The program is conducted much like a RIDE program for vehicles. 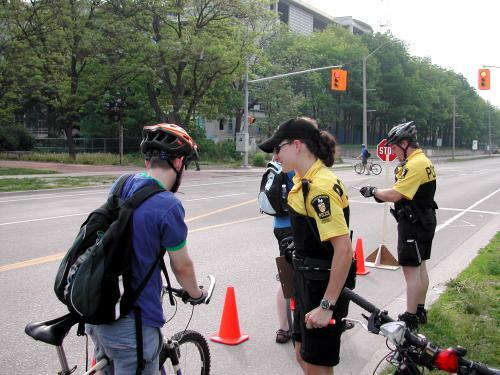 Cyclists enter a safety zone in the bike lane and are greeted by an officer who quickly inspects their bicycle for Highway Traffic Act required safety equipment. If the cyclist is missing something (most times there is no sounding device, like a bell on the bicycle) the officer will explain the need for that piece of safety equipment. There is no enforcement during the SPACE events as the intent is to educate the cyclist. The cyclist is then given a brochure explaining the SPACE program and other ‘nice to know’ information about bicycle safety. We also provide free handouts like coupons to on campus retailers or bicycle shop coupons as a ‘thank you’ for participating in the event. The SPACE program has been used many times on campus. The University community has embraced the program and is also seen in a positive light by motorists and the general public. 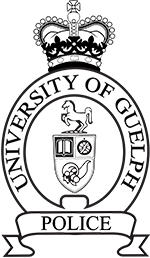 The need to share the road is such an important concept at our University as bicycles are used widely by our community while riding on very busy roads that run through campus like Gordon Street. If you are a cyclist, watch for the SPACE program and ride over to say hello.